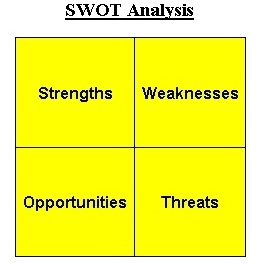 The last SWOT analysis feature I presented was February 2013. In my reader survey a couple of weeks ago, a reader asked if I would bring this feature back. You ask, I listen. You are the only reason I continue this blog. Working in the business world, the SWOT analysis is used to determine the strengths and weaknesses of an organization while also looking at opportunities and threats the organization could face. This SWOT analysis return will look at the strengths and weaknesses of new quartet sensation Canton Junction. They burst on the scene with a progressive Southern Gospel quartet sound that has caught listener’s attention. With the backing of Difference Media (John Hagee Ministries), it is hard to not be successful. The built-in audience/listener base is huge. Matthew Hagee made it a point to find some prominent Southern Gospel quartet men in Tim Duncan and Ryan Seaton to fill vocal spots. Casey Rivers at lead is no slouch either. Their progressive Southern Gospel quartet sound puts them in a league with artists like the Gaither Vocal Band and Ernie Haase and Signature Sound. They put on a performance. When the group tours, they are serious. When I saw them live in the fall of 2015, they came with a five piece band, sound, lights and they weren’t afraid to entertain. At the moment, their limited tour schedule inhibits more Southern Gospel listeners from seeing them live. Trying to create their own identity along power house artists like the Gaither Vocal Band and Ernie Haase and Signature Sound. A nationwide tour: the group should plan on at least a thirty city tour this year. Hitting new areas and defining your group as more than just the house band for John Hagee’s church would be beneficial for a wider audience. Getting spots on all the major concert series would be helpful also. As with any Southern Gospel quartet, if the group suffers from consistent personnel changes, it will only hurt them with audiences. Keeping a stable vocal line-up is key (see Triumphant Quartet). The one downside of being affiliated with a major televangelist, is if scandal would arise, it would most likely hurt the reputation of the group. Round two voting continues for the 2016 Southern Gospel music March madness competition. Here are the rules to voting. 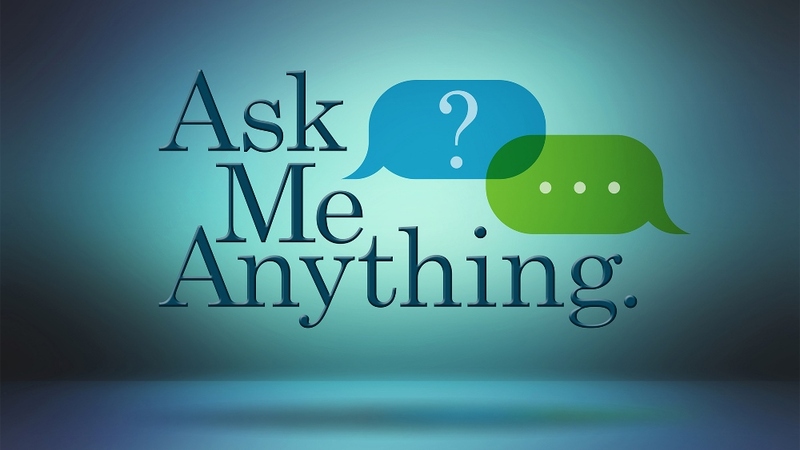 All readers of the blog can vote. I have set it up to where each person is allowed one vote per day. This poll will close on Tuesday (03/29/16). The voting rounds have now begun for the 2016 Southern Gospel music March madness competition. Let’s make this fun. Here are the rules to voting. This poll will close on Tuesday (03/22/16). The Christmas holiday is fast approaching. Many have this week off of work to spend time with family. Thanks for stopping by as we get closer to crowning the best Southern Gospel album and recorded song of 2015. 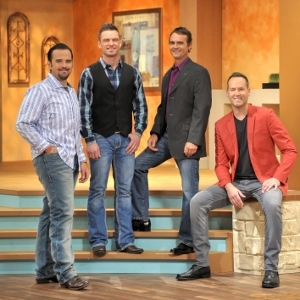 Ernie Haase and Signature Sound found a personnel shift in 2015 when Dustin Doyle replaced Doug Anderson as baritone vocalist. The album that lands at #7 for the year, Happy People, actually has two versions; one with Anderson and another with Doyle. EHSS continue their streak of covering quartet classics while introducing listeners to top-notch new music. Should I also give away that this happens to be the highest ranking quartet album in this year’s countdown. Personal favorites from this recording include: “Thank You For Saving Me”, “Jesus Changes Everything”, “Joshua Led God’s Children”, “Let Your Love Light Shine”, “One Of These Mornings”, “Happy People” and “Angels Everywhere”. Canton Junction’s 2015 album release, Every Hallelujah, already found a home in the countdown ranking 13th among the best albums. Michael Farren and Kenna Turner West would come together to pen the stand out track on Every Hallelujah that ranks 7th among the best recorded songs of 2015. Casey Rivers takes the lead on this rousing up-tempo number that will keep you hitting repeat if you’re not careful. Hear the walls start tumbling, tumbling. Hear the walls start tumbling, tumbling down. Some consider the #13 unlucky. It is not unlucky for the two quartets who find a home in the annual countdown for best album and recorded song. Canton Junction burst on the scene several years ago with a 20 song debut album that solidified the kind of sound/style they wanted to present to Southern Gospel audiences. That progressive quartet sound continued with the group’s 2015 release, Every Hallelujah. With Casey Rivers (lead) and Ryan Seaton (baritone) now joining Matthew Hagee (tenor) and Tim Duncan (bass), the group is competing with the best quartets in Southern Gospel music. Canton Junction even added a small six city tour in the fall of 2015 to showcase Every Hallelujah. Personal favorites from this recording include: “Tumbling Down”, “I Am”, “Every Hallelujah”, “God’s Got A Better Plan”, “Weep No More”, “I Need A Little More Jesus”, “When He Was On The Cross” and “It Wasn’t Raining”. The Kingdom Heirs are back at the top of their game recording traditional Southern Gospel quartet music. With the addition of Brian Alvey on baritone, the group’s sound has only gotten stronger. Speaking of Alvey, he happens to be featured on the song ranked 13th among the best recorded songs of 2015. Lee Black, Sue S Smith and Kenna Turner West came together to pen “Never Made A Promise”. The assurance of knowing God never made a promise that he doesn’t keep is one we all need when we have those moments of doubt. Lets close out another year by posting the final fab five of 2015. These are the five most played Southern Gospel radio (or should be) songs in my musical playlists over the preceding month. The duet from Amber Thompson and Michael English top the list while the Kingsmen, High Road III, Canton Junction and the Jordan Family Band complete the top five. Enjoy! 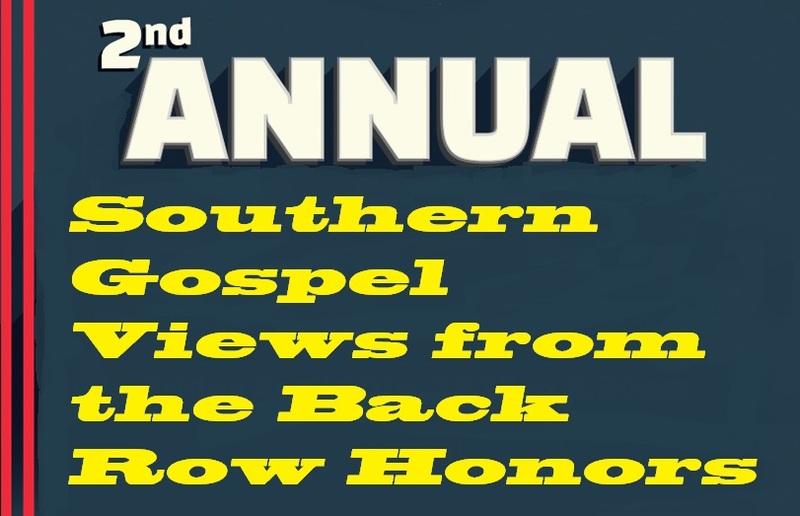 Today concludes voting in the 2nd annual Southern Gospel Views from the Back Row honors. The final two categories are best recorded song and album for 2015. You get one vote per day and polls will remain open for one week. Once voting is complete I will have a wrap up post listing all the winners of the 2015 honors. Thanks for participating. Click the link on each nominee to see an audio version of the nominees.